Early in 1991 the Florida Division of Historical Resources provided funds to complete the Cortez Village Historic Site Survey and draft a National Register District Nomination for the village. Upon completion the Village became a registered historic community on the State and Federal lists of Historic places. An historic overlay district, meant to protect the unique historic structures that make up most of the Village, was also established and is now part of Manatee County’s land use codes. Late in 1991 FISH received funding from the National Trust for Historic Preservation and produced a feasibility study for locating a maritime museum in Cortez. To preserve the maritime material culture of traditional Gulf Coast communities the group formed a successful partnership with Manatee County Government and Manatee County Clerk of the Circuit Courts, R. “Chips” Shore, to purchase the 1912 Cortez School house. The Cortez School house Preserve was purchased in part by a grant from Florida Community Trust “Florida Forever” funds. 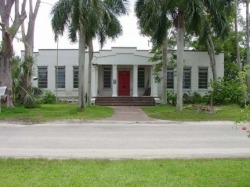 The building was renovated using funds raised by F.I.S.H., the Florida Department of State, Department of Historic Resources Special Category grant, CVHS, Manatee County Board of County Commissioners, Manatee County Clerk of the Circuit Courts, and a private donation from Peter and Eva Thurell’s Item Co. (ltd). The newly renovated building has been occupied with the Florida Maritime Museum at Cortez, now managed by a full time paid staff of three and a large crew of great volunteers and finally opened in 2006. This great potential success story has not yet reached its happy conclusion and we are looking for friends who want to help write the final chapter. Make that happy ending complete and make this grassroots success a part of your life’s story. There are additional small parcels of land within the boundaries of the Preserve that remain to be bought. 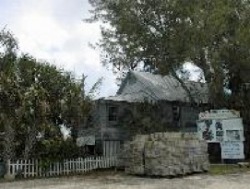 The Burton Store needs funds to complete its restoration/renovation. We are seeking grant opportunities and assistance in funding for all of these projects, and more. Volunteers are needed to help educate the public and promote the project, as well as to clear and clean up the property.